Latest job opportunities at First Choice Leasing Limited, a wholly owned Nigerian company. See the requirements and procedure to apply for First Choice Leasing Limited jobs online. Advise the organization on the staffing implications of new policies, products and services. Assist in placing adverts for all internal and external vacancies and recruiting all entry level positions. Liaise with and co-ordinate various external agencies such as various colleges and campuses, associations, groups and network with various members of the same community (HR / resourcing fraternity). Demonstrates products and services as deemed necessary by clients and management.Schedules appointments and meetings as necessary. Makes product knowledge readily available to clients and other salespeople through various resources. Maintain the old clients, researches new clients base and sells to them accordingly. Minimum qualifications is university graduate/HND holder in Marketing and/ experience in any field. Meets up the minimum sales target on monthly basis. Submit marketing weekly reports to the relevant Authority. A candidate for marketing manager position, must have B.Sc in Marketing or related field. In addition, he or she must have flair for marketing of power solution product. How to Apply for First Choice Leasing Limited Jobs. About First Choice Leasing Limited. 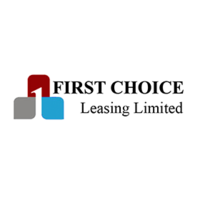 First Choice Leasing Limited (RC 918256) is a top Class and wholly owned Nigerian company that is reputed for Financial Intermediation And Equipment Leasing services, recruitment services, LPO finance and allied financial consultancy services. The Firm was incorporated in 2010 to fill the identified gaps in the afore mentioned fields.